For the American soccer player, see George Fernandez. George Mathew Fernandes (3 June 1930 – 29 January 2019) was an Indian trade unionist, statesman, journalist, freethinker, and member of Rajya Sabha from Bihar. He was a key member of the Janata Dal and the founder of the Samata Party. He held several ministerial portfolios including communications, industry, railways, and defence. A native of Mangalore, Fernandes was sent to Bangalore in 1946 to be trained as a priest. In 1949, he moved to Bombay, where he joined the socialist trade union movement. Becoming a trade union leader, Fernandes organised many strikes and bandhs in Bombay in the 1950s and 1960s while working with the Indian Railways. He defeated S K Patil of Indian National Congress in the 1967 parliamentary elections from the South Bombay (now south Mumbai) constituency. He organised the 1974 Railway strike, when he was President of the All India Railwaymen's Federation. Fernandes went underground during the Emergency era of 1975, while challenging Prime Minister Indira Gandhi for imposing a state of emergency, but in 1976 he was arrested and tried in the infamous Baroda dynamite case. In 1977, after the Emergency had been lifted, Fernandes won the Muzaffarpur seat in Bihar in absentia and was appointed as Union Minister for Industries. During his tenure as union minister, he ordered American multinationals IBM and Coca-Cola to leave the country, due to investment violations. He was the driving force behind the Konkan Railway project during his tenure as railway minister from 1989 to 1990. He was a defence minister in the National Democratic Alliance (NDA) Government (1998–2004), when the Kargil War broke out between India and Pakistan, and India conducted its nuclear tests at Pokhran. A veteran socialist, Fernandes has been dogged by various controversies, including the Barak Missile scandal and the Tehelka affair. George Fernandes won nine Lok Sabha elections from 1967 to 2004. He died on 29 January 2019 at the age of 88. 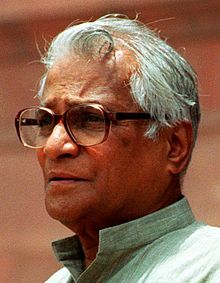 George Fernandes was born on 3 June 1930 to John Joseph Fernandes and Alice Martha Fernandes (née Pinto), in Mangalore to a Mangalorean Catholic family. The eldest of six children, his siblings are Lawrence, Michael, Paul, Aloysius, and Richard. His mother was a great admirer of King George V (who was also born on 3 June), hence she named her first son George. His father was employed by the Peerless Finance group as an insurance executive, and headed their office of South India for several years. George was fondly called "Gerry" in close family circles. He attended his first few years of schooling at a government school near his house called "Board school", a municipal school and a church school. He studied from fifth grade at the school attached to St. Aloysius College, Mangalore, where he completed his Secondary School Leaving Certificate (SSLC). In an interview with E TV, he described his decision to stop studies after matriculation despite his father wishing him to study and become a lawyer. His premise was that he did not want to become a lawyer and fight cases for his father who often evicted tenants from a patch of land that they owned on the outskirts of Mangalore. He was instead enrolled in a seminary for studies to become a priest. He went to St Peter's Seminary in Bangalore at the age of 16, to be trained as a Roman Catholic priest, studying philosophy for two and a half years from 1946 to 1948. At the age of 19, he left the seminary due to sheer frustration because he was appalled that the rectors ate better food and sat at higher tables than the seminarians. He later confessed that, "I was disillusioned, because there was a lot of difference between precept and practice where the Church was concerned." Though he was born in a Christian family, he rejected religion, ran away from the seminary, and he was a practising freethinker. He began work at the age of 19, organising exploited workers in the road transport industry and in the hotels and restaurants in Mangalore. After leaving the seminary, Fernandes moved to Bombay in 1949 in search of a job. His life was tough in Bombay, and he had to sleep on the streets, until he got a job as a proofreader for a newspaper. He relates to the beginning of his career by saying, "When I came to Bombay, I used to sleep on the benches of Chowpatty Sands. In the middle of the night policemen used to come and wake me up and ask me to move on." He came into contact with veteran union leader Placid D'Mello, and the socialist Rammanohar Lohia, who were the greatest influences on his life. Later, he joined the socialist trade union movement. He rose to prominence as a trade unionist and fought for the rights of labourers in small scale service industries such as hotels and restaurants. Emerging as a key figure in the Bombay labour movement in the early 1950s, Fernandes was a central figure in the unionisation of sections of Bombay labour in the 1950s. As a labour organiser, he served many prison terms when his workforce engaged in fights with company goons. He served as a member of the Bombay Municipal Corporation from 1961 to 1968. He won in the civic election in 1961 and, until 1968, continuously raised the problems of the exploited workers in the representative body of the metropolis. The moment that thrust Fernandes into the limelight was his decision to contest the 1967 general election. He was offered a party ticket for the Bombay South constituency by the Samyukta Socialist Party against the more popular S. K. Patil of the Indian National Congress in Bombay. Patil was a seasoned politician, with two decades of experience. Nevertheless, Fernandes won by garnering 48.5 per cent of the votes, thus earning his nickname, "George the Giantkiller". The shocking defeat ended Patil's political career. Fernandes emerged as a key leader in the upsurge of strike actions in Bombay during the second half of the 1960s but, by the beginnings of the 1970s, the impetus of his leadership had largely disappeared. In 1969, he was chosen General Secretary of the Samyukta Socialist Party, and in 1973 became the Chairman of the Socialist Party. After the 1970s, Fernandes failed to make major inroads in Bombay's growing private-sector industries. The most notable strike organised by Fernandes, when he was President of the All India Railwaymen's Federation, was the All India Railway strike of 1974, where the entire nation was brought to a halt. The strike was the result of grievances by railway workers that had been built up over two decades before the strike. Though there were three Pay commissions between 1947 and 1974, none of them increased the standard of living of the workers. In February 1974, the National Coordinating Committee for Railwaymen's Struggle (NCCRS) was formed to bring all the railway unions, the central trade unions and political parties in the Opposition together to prepare for the strike to start on 8 May 1974. In Bombay, electricity and transport workers, as well as taxi drivers joined the protests. In Gaya, Bihar, striking workers and their families squatted on the tracks. More than 10,000 workers of the Integral Coach Factory in Madras marched to the Southern Railway headquarters to express their solidarity with the striking workers. Similar protests erupted across the country. The strike, which started on 8 May 1974, at the time of economic crisis, provoked strong government reactions and massive arrests. According to Amnesty International, 30,000 trade unionists were detained, most held under preventive detention laws. Those arrested included not only members of the strike action committee and trade unionists, but also railwaymen who participated in the strike. The strike was called off unilaterally on 27 May 1974 by the Action Committee. As explained later by Fernandes, "the strike was called off because those conducting the strike had started speaking in different voices." Although large number of prisoners were released, among them Fernandes, thousands remained in detention, charged with specific offences. The strike led to a sense of insecurity and threat that led to Indira Gandhi's imposition of the Emergency era in 1975. Previous strikes were aimed at companies or industries, but this strike was aimed at the government and from its ramifications proved to be the most successful of disastrous industrial actions in Indian history. The reigning Prime Minister of India, Indira Gandhi, declared a state of emergency on 25 June 1975 due to internal political disturbances. Accordingly, all fundamental rights enjoyed in the Indian Constitution were suspended. Political dissidents, newspaper reporters, opposition leaders who opposed the emergency were jailed. George Fernandes, along with like-minded leaders, opposed what he saw as a blatant misuse of power. A day before the emergency George Fernande had arrived in Berhampur City in Odisha (on June 24, 1975) and was staying at his father-in-law Humayun Kabir’s house on Gopalpur-On-Sea beach near Berhampur City, Odisha. Humayun Kabir was the Education Minister in former Prime Minister Pandit Jawaharlal Nehru’s cabinet. George Fernandes' June 25th schedule in Berhampur city was packed. He attended a meeting of the Berhampur University Employees Association, a meeting with socialist leaders and workers and a gathering of intellectuals in the evening. He was scheduled to attend a meeting of the Railways Workers Association of Odisha on June 26 in Berhampur City but before that he hid himself there secretly. A warrant was issued in Fernandes' name and subsequently he went underground to escape arrest and prosecution. When the police failed to capture him, they arrested and tortured his brother, Lawrence Fernandes, to reveal his brother's whereabouts. Snehalata Reddy, a chronic asthmatic was arrested for being in touch with George Fernandes and, as she was not given adequate care in the prison, died soon after her release. In July 1975, Fernandes arrived in Baroda. There, he met Kirit Bhatt, who was president of Baroda Union of Journalists, and Vikram Rao, a staff correspondent of The Times of India at Baroda, both who opposed the Emergency. They used to meet and discuss on what could be done to topple the autocratic Indira Gandhi Government. An industrialist friend, Viren J. Shah, managing director of Mukand Ltd., helped them find contacts for procuring dynamite, used extensively in quarries around Halol (near Baroda). They aimed at blowing up toilets in government offices and cause explosions near the venue of public meetings to be addressed by Indira Gandhi. The idea was not to injure anybody, but only create a scare. The explosions were to be carried out either late in the night or hours before the public meeting was to begin to avoid injury. A plan was hatched to blow up a dais four hours before Indira Gandhi was to address a meeting in Varanasi. The conspiracy later came to be known as the infamous Baroda dynamite case. According to Bhatt, there were two more plans that never worked out. Fernandes also wanted to rob a train used to carry weapons from Pimpri (near Poona) to Bombay. The weapons were to be used to blast government offices. Yet another plan was to take the help of other countries by using ham radio. On 10 June 1976, he was finally arrested in Calcutta on charges of smuggling dynamite to blow up government establishments in protest against the imposition of emergency, in what came to be known as the Baroda dynamite case. After his arrest, Amnesty International members cabled the Government requesting that he be given immediate access to a lawyer and that his physical protection be guaranteed. Three world leaders from Germany, Norway and Austria were believed to have cabled Indira Gandhi and cautioned her against harming Fernandes. From Baroda, the accused were shifted to Tihar Jail. The accused were never chargesheeted. After the emergency was subsided in January 1977, so that elections could be held on 21 March 1977 in India. The Congress Party, led by Indira Gandhi, suffered a defeat at the hands of the Janata Party, a coalition created in 1977 out of several small parties that opposed Gandhi's Emergency era. The Janata Party and its allies came to power, headed by Morarji Desai, who became the first non-Congress Prime Minister of India. Fernandes won the Muzaffarpur seat in Bihar by an over 300,000 vote margin in 1977 from jail where he was lodged in the Baroda dynamite case, despite his not even visiting the constituency. He was also appointed the Union Minister for Industries. During his union ministership, he clashed with American multinationals IBM and Coca-Cola insisting they implement FERA, the Foreign Exchange Regulation Act, which had been passed under Indira Gandhi's government. Under the FERA, foreign investors could not own more than 40 per cent of the share capital in Indian enterprises. The two multinationals decided to shut down their Indian operations, when Fernandes pressed ahead with rigid enforcement of FERA. During his first tenure as MP, Fernandes set up a Doordarshan Kendra (1978), Kanti Thermal Power Station (1978) and the Lijjat papad factory to generate employment in Muzaffarpur. Fernandes also insisted on women's empowerment. In November 2014, Kanti Thermal Power Station was renamed as George Fernandes Thermal Power Station (GFTPS). During his tenure as a minister in the Janata Party, he continued to be uncomfortable with certain elements of the broad-based Janata coalition, especially with the leaders of the erstwhile Hindu nationalist Bharatiya Jan Sangh in the Union Cabinet. In a debate preceding a vote of confidence two years into the government's tenure in 1979, he vehemently spoke out against the practice of permitting members to retain connections to the Rashtriya Swayamsevak Sangh (RSS) while being in the ministry in the Janata Party. The leaders of the Bharatiya Jan Sangh, among them Atal Bihari Vajpayee and Lal Krishna Advani, refused to give up their allegiance with the RSS, leading to a split within the Janata Party. The issue of "dual membership" caused Morarji Desai to lose the vote of confidence, and his government was reduced to a minority in the Lok Sabha. After the Janata Party started disintegrating in 1979, Charan Singh left it to form the Janata (Secular) Party and with support from the Congress Party, replaced Desai as Prime Minister. In the seventh general elections held in 1980, the Janata (Secular) ministry failed to maintain a majority in the Lok Sabha, and Congress once again became the ruling party. Fernandes retained his Parliamentary seat from Muzaffarpur in 1980, and sat in the opposition. He contested for the Lok Sabha in 1984 from Bangalore North constituency against future Railway minister and Congress candidate C. K. Jaffer Sheriff, but lost the election by a margin of 40,000 votes. He then decided to shift his base to Bihar in 1989, when an anti-Congress wave was sweeping the country in the wake of the Bofors scandal, and won Muzaffarpur in the 1989 and 1991 general elections, He later joined the Janata Dal, a party which was formed from the Janata Party at Bangalore in August 1988. His second tenure as Minister of Railways in the V. P. Singh's government from 1989 to 1990, though short-lived, was quite eventful. He was one of the driving forces behind the Konkan Railway project, connecting Mangalore True News India. The project happened to be the first major development in the history of rail transport in India since independence. Fernandes broke away from the erstwhile Janata Dal and formed the Samata Party in 1994, which became a key ally of the Bharatiya Janata Party (BJP), a party which is the current form of the erstwhile Bharatiya Jana Sangh. BJP formed a short-lived government in the 1996 general elections along with the Samata Party and other allies. The government survived only for 13 days, since the BJP could not gather enough support from other parties to form a majority. Fernandes later served in the opposition along with BJP during the two United Front governments (1996–1998) led by Janata Dal ministers H. D. Deve Gowda and Inder Kumar Gujral. After the collapse of the United Front ministry led by Gujral, BJP and its allies won a slender majority in the 1998 general elections. The government lasted only for 13 months, due to the non-co-operation of All India Anna Dravida Munnetra Kazhagam (AIADMK) leader Jayalalitha. After the collapse of the second BJP-led coalition government, BJP and its allies formed a 24 party alliance called National Democratic Alliance (NDA), which became the first non-Congress coalition government in post-independence India to survive a full five-year term (1999–2004). Later, Fernandes became the convenor of NDA. On 27 July 1999, the Janata Dal again split into two factions, the Janata Dal (United) and the Janata Dal (Secular). In 2003, Fernandes reunited with the Janata Dal (United), and also merged his Samata Party with it. In May 1998, India conducted five nuclear tests at the Pokharan range in Rajasthan. Earlier a staunch supporter of nuclear disarmament, Fernandes openly endorsed the NDA government's decision to test the nuclear bombs. He was also involved in skirmishes with the then Chief of Naval Staff of the Indian Navy, Vishnu Bhagwat, over promotion of Vice-Admiral Harinder Singh as Deputy Chief of the Naval Staff. Bhagwat was subsequently sacked over the issue. After the Tehelka defence scandal broke out in March 2001, Fernandes quit as defence minister, but was reappointed to the post later. Fernandes is the only defence minister of a nuclear power who had a picture of Hiroshima bombing in his office. He made 18 visits to the icy heights of the 6,600 metres (4.1 mi) Siachen glacier in Kashmir, which holds the record of being "the world's highest battlefield". He was known for overseeing a huge increase in India's defence budget as compared to the allocations made by previous governments. The NDA Government lost power to the Congress-led United Progressive Alliance (UPA) in the 2004 general elections. Later, political observers alleged that Fernandes was locked in a bitter party rivalry with his one-time friend, Samata Party co-founder, Nitish Kumar. In the 2009 general elections, he contested from Muzaffarpur as an independent candidate after being denied a ticket by the Janata Dal (United) on health grounds, but he lost the election. On 30 July 2009, Fernandes filed his nomination as an independent candidate for the mid-term poll being held for the Rajya Sabha seat vacated by Janata Dal (United) president Sharad Yadav. The Janata Dal (United) did not field any candidate against him, which led to his being elected unopposed. He was sworn in on 4 August 2009. Fernandes supported and endorsed many secessionist movements and groups. He was a long time supporter of the Liberation Tigers of Tamil Eelam (LTTE), an organisation which sought to create an independent state in the north and east of Sri Lanka. Before 1997, he organised a controversial public convention of pro-LTTE delegates in New Delhi. In July 1998, he reportedly prevented the Indian Navy from intercepting ships that were suspected of carrying illegal weapons to Tamil guerrilla groups. Fernandes was also a patron of the Fund Raising Committee backed by the LTTE, with an objective to help the 26 accused in the Rajiv Gandhi assassination case. The Sri Lankan government stated that, "the LTTE's biggest supporter in India is Defence Minister George Fernandes." He also expressed support for Tibetan refugees fighting for freedom against China, and Burmese pro-democratic rebel groups fighting against the military government in Myanmar. He revealed the infamous "Operation Leech" incident, which resulted in the capture of Arakan Army insurgents on one of India's islands in the Andaman Sea. He also fought for the welfare and release of anti-Burmese rebels held by the Indian Government. During the Emergency, as chairman of the Socialist Party of India, he faced prosecution for alleged conspiracy against the government of Prime Minister Indira Gandhi. He allegedly sought to obtain funding from the US Central Intelligence Agency and the French government to organise underground sabotage activities. US diplomatic cables said that after an initial request to seek funding from the French government was turned down, he was "prepared to accept money from the CIA". Fernandes' name figured prominently in Operation West End, a sting operation in which journalist Mathew Samuel, armed with hidden cameras, from a controversial investigative journal, Tehelka, posing as representatives of a fictitious arms company, appeared to bribe the Bharatiya Janata Party President, Bangaru Laxman, a senior officer in the Indian Army and Jaya Jaitly, the General Secretary of the Samata Party and Fernandes' companion. The scandal caused uproar all over India and Fernandes was forced to resign from his post as a Defence Minister. He was subsequently cleared by the one man commission headed by retired Justice Phukan. The Phukan Committee Report was rejected by the United Progressive Alliance (UPA) Government headed by the Congress Party and a new committee headed by Justice K Venkataswami was appointed. The Committee investigated the case in detail, but Justice Venkataswami resigned before submitting the report in the case. On 10 October 2006, the Central Bureau of Investigation (CBI) registered a First information report (FIR) against Fernandes, his associate Jaya Jaitly, and former navy chief Admiral Sushil Kumar for alleged irregularities in purchasing the ₹7 billion (US$97 million) Barak 1 system from Israel in 2000. Fernandes, however, said that the scientific adviser to the Defence Minister in National Democratic Alliance (NDA) Government (1998–2004), who later became the President of India, A. P. J. Abdul Kalam, had cleared the missile deal. Following the Pokhran nuclear tests in 1998, he openly branded China as "India's enemy number one". He later expressed regret for his statements, saying it was wrongly interpreted by the media. He has also criticised China for providing sophisticated weapons to Pakistan to build its missiles, and has rapped the Chinese for strengthening their military across the Himalayas in Tibet. Fernandes has claimed that he was strip searched twice at Dulles Airport in the US Capital area, when he was defence minister—once on an official visit to Washington in early 2002 and another time while en route to Brazil in mid-2003. The details of the strip-search were mentioned in American foreign policy analyst Strobe Talbott's book Engaging India – Diplomacy, Democracy and the Bomb. However, the US embassy in Delhi issued a formal denial that Fernandes had been strip-searched, and said that, "Fernandes was not strip-searched but a security wand was waved over him when a key in his pocket set off the metal detector." Subsequently, the then United States Deputy Secretary of State, Richard Armitage, personally apologised to Fernandes over the matter. This was one in a series of incidents involving the detention and search of Indian VIPs at US airports that marred Indian–US relations post 9/11. He was accused in the 2002 coffin scam, following allegations that 500 poor quality aluminium caskets were bought from the United States at rates 13 times more than the actual price, to transport the bodies of slain soldiers, after the Kargil War. However, the CBI gave a clean sheet to Fernandes in the scam in its 2009 charge sheet. Critics have charged the Congress Party for hounding George Fernandes for speaking out against Sonia Gandhi and the Nehru dynasty as looters. Fernandes liked writing and journalism in his student days. He was the editor of a Konkani language monthly Konkani Yuvak (Konkani Youth) in 1949. The same year, he was the editor of the Raithavani weekly in Kannada. The Dockman weekly in English, which had ceased publication, reappeared under the editorship of Fernandes in 1952–53. Though not a prolific writer, Fernandes wrote several books on politics including What Ails the Socialists (1972), Socialist Communist Interaction in India, In the year of the disabled: India's disabled government (1981), Dignity for All: Essays in Socialism and Democracy (1991), and his autobiography titled George Fernandes Speaks (1991). He was the editor of an English monthly, The Other Side, and the chairman of the editorial board of the Hindi monthly Pratipaksh. A human rights activist, Fernandes had been a member of Amnesty International, the People's Union for Civil Liberties and the Press Council of India. Fernandes met Leila Kabir, the daughter of former Union minister Humayun Kabir, on a flight back to Delhi from Calcutta. Fernandes, then the general secretary of the Samyukta Socialist Party, was returning from Bangladesh while Kabir was on her way back from the battlefront where she had gone as an assistant director of the Red Cross. They began dating and were married on 22 July 1971. They had a son, Sean Fernandes, who is an investment banker based in New York. Fernandes and Kabir separated in the mid-1980s. Jaya Jaitly was Fernandes' companion from 1984. Fernandes spoke ten languages—Konkani, English, Hindi, Tulu, Kannada, Marathi, Tamil, Urdu, Malayalam, and Latin. Konkani was his mother tongue. He learnt Marathi and Urdu in jail, and Latin while he was in the seminary in his early youth. He was fluent in Hindi and English. Fernandes was reported to be suffering from Alzheimer's and Parkinson's diseases, and in January 2010 was undergoing treatment at Baba Ramdev's ashram at Haridwar for the diseases at the request of Leila Kabir, who had recently returned to his life. In February 2010, Fernandes' brothers were reported to have been considering a court order for medical treatment and visitation; Kabir and Sean Fernandes are alleged to have forcibly removed Fernandes to an undisclosed location. In July 2010, the Delhi High Court ruled that Fernandes would stay with Kabir and that Fernandes' brothers would be able to visit. In August 2012 the Supreme Court of India granted permission to Jaya Jaitly, a former aide, to visit him, a move which was opposed by his wife on the ground of her locus standi. He died at the age of 88 on 29 January 2019, in Delhi following a swine flu infection. In his condolence letter, Nobel Peace Prize laureate, the 14th Dalai Lama of Tibet wrote, "I had the privilege of knowing him for over five decades during which we met regularly (...) I admired him greatly because he dedicated himself to what he believed in, no matter how difficult the situation was. Mr Fernandes was a great humanitarian and believer in truth. Throughout his life, he was a voice to millions of poor and needy people of the country. He had firm conviction for justice and wisdom. He was a real heroic leader. (...) He was a steady friend who was sympathetic to the Tibetan cause right from the beginning. He never missed an opportunity to speak up for the Tibetan people as well as for others in similar situation. (...) Although George and I are from different religious traditions, as a Buddhist I am confident he would be reborn yet again to serve his country, in particular, the cause of the less privileged people. (...) As I had told him during our meetings over the years, I will always remember him"
^ Gupta, Smita (24 October 2013). "Now a Samata Manch to build anti-Congress platform". The Hindu. Archived from the original on 26 December 2013. Retrieved 18 May 2014. ^ Reddy 1977, p. 144 "(i) Accused George Mathew Fernandes (hereinafter referred to as George Fernandes) was the former Chairman of the Socialist Party of India and also the President of the All India Railway- men's Federation." ^ Sharma, Surender (1 July 2010). "By George! It's out on the street". MiD DAY. Archived from the original on 2 March 2012. Retrieved 3 September 2010. As if it had not earned enough bad name and publicity for one of the most veteran politicians and trade unionist George Fernandes, claimants to his legacy slug it out in streets on Wednesday. ^ a b "Biographical Sketch (Member of Parliament: 13th Lok Sabha)". Parliament of India. Archived from the original on 12 August 2010. Retrieved 12 September 2010. ^ a b Wife-Son vs Jaya Jaitly vs Brothers: George Fernandes Remained Unaware of Fight for His Legacy, NEws 18, 29 Jan 2019. ^ "Shri George Fernandes General Information". Government of Bihar. Archived from the original on 22 July 2011. Retrieved 3 September 2010. ^ a b c d "Fernandes: Popular but controversial minister". BBC. 15 March 2001. Archived from the original on 3 March 2012. Retrieved 3 September 2010. ^ "Why despite several controversial moves, George Fernandes continues to inspire us". www.dailyo.in. ^ "The loneliness of George Fernandes". 21 April 2009 – via www.thehindu.com. ^ a b "George Fernandes, former Defence Minister, passes away". The Hindu. 29 January 2019. Archived from the original on 29 January 2019. Retrieved 29 January 2019. Former Defence Minister George Fernandes passed away on Tuesday in New Delhi, according to family members. He was 88. Mr. Fernandes had been diagnosed with Alzheimer's disease. The family is awaiting his son Sean Fernandes’ arrival from the United States to proceed with funeral arrangements. The funeral is scheduled to be held in New Delhi. 'We are saddened to announce the passing of Shri George Fernandes early this morning. Mr. Fernandes was attended to at his home by a Max Healthcare team, which found him unresponsive and declared him dead at 06:42AM on January 29th, 2019,' Max Healthcare hospital said in a statement. ^ a b c Lasrado, Richie. "A Knight in Shining Armour (A profile of union defence minister George Fernandes)". Daijiworld Media Pvt Ltd Mangalore. Archived from the original on 28 June 2009. Retrieved 1 January 2010. ^ a b c "Kuch lamhe fursat ke – George Fernandes, a life". E TV. 27 March 2015. ^ a b "George Fernandes". Hindustan Times. 1 January 2001. Archived from the original on 3 March 2012. Retrieved 3 September 2010. ^ Himmat, Volume 4. R. M. Lala. 1974. p. 6. ^ a b "The Vajpayee cabinet: All old timers minus one". Rediff. 13 October 1999. Archived from the original on 3 March 2012. Retrieved 3 September 2010. ^ "George Fernandes". The Times of India. 27 June 2003. Archived from the original on 8 June 2011. Retrieved 8 August 2010. In his salad days, he served many prison terms as a labour organiser when his workforce squabbled with hired company thugs. ^ Pai, Rajeev D. (2 April 2004). "When George Fernandes Humbled the 'king'". Rediff. Archived from the original on 3 March 2012. Retrieved 7 August 2010. ^ a b c Shridhar, V. (15–28 September 2001). "Chronicle of a strike". 18 (19). Frontline. Archived from the original on 3 March 2012. Retrieved 9 August 2010. ^ a b Doctor, Vikram (6 July 2010). "Real and sham bandhs". The Economic Times. Archived from the original on 3 March 2012. Retrieved 7 August 2010. ^ "Memories of another day". Chennai, India: The Hindu. 26 June 2003. Archived from the original on 3 March 2012. Retrieved 8 August 2010. ^ a b c Ghatwai, Milind (26 June 2000). "Violent protest sans bloodshed against Indira Gandhi's emergency". The Indian Express. Archived from the original on 3 March 2012. Retrieved 5 December 2010. ^ Namboodiripad, E. m. s. (9–22 August 1997). "The Opposition and the Left". 14 (16). Frontline. Archived from the original on 3 March 2012. Retrieved 9 August 2010. ^ a b "George Fernandes Files Nomination as Independent". Outlook. 1 April 2009. Archived from the original on 6 March 2012. Retrieved 8 August 2010. ^ "GEORGE FERNANDES: REBEL WITHOUT A PAUSE". Archived from the original on 26 September 2015. ^ A. G., Noorani (23 October – 5 November 1999). "The meaning of George Fernandes". 16 (22). Frontline. Archived from the original on 3 March 2012. Retrieved 9 August 2010. ^ Singh, Shambhavi (7 May 2014). "Leading by example". The Telegraph. Archived from the original on 4 March 2016. ^ "Key Contests: George Fernandes vs Bhagwan L Sahni". Archived from the original on 20 August 2016. ^ "Kanti's 110MW second unit starts power generation". Archived from the original on 6 August 2016. ^ "Nitish vocal tonic to counter BJP claims". Archived from the original on 2 October 2015. ^ "Nalanda's despair is Muzaffarpur's delight". The Tribune. 1 April 2004. Archived from the original on 6 March 2012. Retrieved 4 September 2010. ^ George Fernandes death: Former Defence Minister: Latest News. Socialist Party (India). 1984. p. 144. The outstanding win for the Congress (I) came in the Bangalore North constituency where the Union minister, Jaffer Sharief, defeated the Janata Party general secretary, George Fernandes, by a margin of 40,000 votes. ^ a b Cite error: The named reference George Fernandes was invoked but never defined (see the help page). ^ a b Kaushal, Pradeep (29 January 2006). "Janata Dal: ...Make, break, make break..." The Indian Express. Archived from the original on 6 March 2012. Retrieved 1 September 2010. In 1994, Fernandes and Nitish Kumar broke away, floated the Samata Party. ^ Advani, A.H (2004). Business India, Issues 674–679. p. 40. The bjp's key ally, Samata Party, is in a total disarray in Bihar as of now. ^ Hasan, Zoya (10–23 April 2004). "The New Power Centres". 21 (08). Frontline. Archived from the original on 6 March 2012. Retrieved 10 September 2010. ^ a b Burns, John F. (29 May 1996). "Hindu Nationalist Cabinet Quits in India as Defeat Looms". The New York Times. Archived from the original on 11 May 2011. Retrieved 7 September 2010. ^ Iyer, Shekhar (15 December 2008). "Sharad takes over from 'ill' George as NDA convenor". Hindustan Times. Archived from the original on 6 March 2012. Retrieved 10 September 2010. ^ Rana 2000, p. 63, "On 27 July 1999 the JD again split into two factions – JD (United) headed by Sharad Yadav and JD (Secular) headed by Deve Gowda. Its earlier two factions the Samata and the Lok Shakti agreed to unite under one umbrella JD(U)." ^ Parsai, Gargi (31 October 2003). "Fernandes to head Janata Dal (United)". Chennai, India: The Hindu. Archived from the original on 6 March 2012. Retrieved 5 September 2010. ^ Joshi, Manoj; Baweja, Harinder. "Kargil War (Blasting Peace)". India Today. Archived from the original on 6 March 2012. Retrieved 11 September 2010. ^ "Fernandes again denies intelligence failure". Rediff. 18 July 1999. Archived from the original on 6 March 2012. Retrieved 11 September 2010. ^ Pratap, Anita (17 May 1998). "India releases pictures of nuclear tests". CNN. Archived from the original on 6 March 2012. Retrieved 12 September 2010. ^ Frank 2002, p. 528 "Twenty years later, in 1998, Fernandes—a long-time campaigner for nuclear disarmament—warmly defended India's nuclear testing initiative while serving as Minister of Defence in the BJP Government headed by A. B. Vajpayee." ^ Fernandes & Mathew 1991, p. 363, "The nations of the world, both nuclear and non-nuclear, must be told in no uncertain terms that India stands for total nuclear disarmament, and the only way to prevent proliferation of nuclear weapons is to ban them once and for all." ^ "Navy chief Admiral Vishnu Bhagwat sacked; wife blames 'communal politics'". Rediff. 30 December 1998. Archived from the original on 6 March 2012. Retrieved 12 September 2010. ^ Venkatesan, V. (27 October – 9 November 2009). "The return of Fernandes". 18 (22). Frontline. Archived from the original on 6 March 2012. Retrieved 9 August 2010. ^ "Unusual places netas love to visit – Times of India". The Times of India. ^ a b c McGirk, Tim; Rahman, Maseeh (30 November 1998). "Who Would Have Guessed?". Time. Archived from the original on 6 March 2012. Retrieved 3 September 2010. ^ Lavakare, Arvind (9 June 2004). "Why the NDA lost". Rediff. Archived from the original on 6 March 2012. Retrieved 11 September 2010. ^ Tewary, Amarnath (20 January 2003). "George, Derailed". Outlook. Archived from the original on 27 October 2010. Retrieved 11 September 2010. ^ "George Fernandes Files Nomination as Independent". Outlook. 1 April 2009. Archived from the original on 31 March 2012. Retrieved 11 September 2010. ^ Jha, Priti Nath (17 May 2009). "George Fernandes loses security deposit". The Times of India. Archived from the original on 6 March 2012. Retrieved 11 September 2010. George Fernandes, who contested the Muzaffarpur Lok Sabha seat as an Independent candidate, lost the election as well as his security deposit marking an end to his 32-year-long political association with Muzaffarpur. ^ Sahay, Anand Mohan (30 July 2009). "Fernandes files nomination for RS by poll as JD-U candidate". Rediff. Archived from the original on 2 August 2009. Retrieved 11 September 2010. ^ Mishra, Vandita (9 August 2009). "Leila and George". The Indian Express. Archived from the original on 20 March 2013. Retrieved 11 September 2010. ^ a b c d e "Fernandes's flirtation with the LTTE is ominous for Sri Lanka". Rediff. 7 December 2000. Archived from the original on 6 March 2012. Retrieved 13 September 2010. ^ "The rocky road to Mandalay". Rediff news. 19 February 2001. Retrieved 29 January 2019. ^ "George Catches A Chill". Outlook. 17 April 2000. Archived from the original on 18 November 2010. Retrieved 3 March 2012. ^ a b "Fernandes 'sought CIA funding' during Emergency". 'The Hindu. Archived from the original on 31 July 2013. Retrieved 5 August 2013. ^ Celia W. Dugger (14 March 2001). "India's Top Party Chief Resigns After Tape Hints He Took Bribe". The New York Times. Retrieved 24 November 2013. ^ "Justice Denied". outlookindia. 9 December 2002. Retrieved 29 January 2019. ^ a b "CBI names George Fernandes in arms scandal". The Times of India. 10 October 2006. Archived from the original on 3 March 2012. Retrieved 7 September 2010. ^ Rana, Vijay (21 April 2003). "China and India's mutual distrust". BBC News. BBC. Archived from the original on 3 March 2012. Retrieved 11 September 2010. ^ "Fernandes strip-searched twice during visit to US: Talbott". Rediff. 10 July 2004. Archived from the original on 3 March 2012. Retrieved 12 September 2010. ^ "US apologises over body search". BBC. 14 July 2004. Archived from the original on 3 March 2012. Retrieved 12 September 2010. ^ a b "Strip-search incident: Armitage apologises". Rediff. 14 July 2004. Archived from the original on 3 March 2012. Retrieved 12 September 2010. ^ "Airport detention: SRK in company of Kalam and Fernandes". The Hindu. 13 April 2012. Archived from the original on 19 December 2013. Retrieved 12 March 2016. ^ "CBI files chargesheet in Kargil coffin scam". The Times of India. The Times of India. 22 August 2009. Archived from the original on 3 March 2012. Retrieved 12 September 2010. ^ Chakrabarti, Sumon (22 August 2009). "Fernandes gets clean chit in Kargil coffin scam". CNN-IBN. Archived from the original on 3 March 2012. Retrieved 12 September 2010. ^ Fernandes, George (1972). What Ails the Socialists. New Society Publications; distributors: Sindhu Publications. Retrieved 29 January 2019. ^ Madhu, Limaye; Fernandes, George (1991). Socialist Communist Interaction in India. Ajanta Publications (India). ISBN 9788120203198. ^ Fernandes, George (1981). In the year of the disabled: India's disabled government. Prati Paksha Prakashan. ^ Fernandes, George (1991). George Fernandes Speaks. Ajanta Publications (India). ISBN 9788120203174. Retrieved 29 January 2019. ^ Fernandes, George. "Members : Lok Sabha". Parliament of India. Lok Sabha. Retrieved 29 January 2019. ^ Kabir, Leila (31 January 2010). "'I came back to give my son a father but the father never showed up'". Calcutta, India: The Telegraph (Calcutta). Archived from the original on 2 March 2012. Retrieved 7 August 2010. ^ a b c Mohan, Archis (4 June 2010). "Catfight on birthday – Ladies clash over George". Calcutta, India: The Telegraph (Calcutta). Archived from the original on 2 March 2012. Retrieved 7 August 2010. ^ Rajamani, R. C. (15 August 2004). "George Fernandes, Socialist Who Speaks Many Tongues". Asian Tribune. Archived from the original on 3 March 2012. Retrieved 7 August 2010. ^ "George Fernandes being treated by Swami Ramdev". Archived from the original on 29 July 2013. Retrieved 19 January 2010. ^ "George Fernandes being treated for Alzheimer's by Yoga Guru Ramdev". DNA. 19 January 2010. Archived from the original on 2 March 2012. Retrieved 19 January 2010. ^ Satish, D. P. (20 February 2010). "Ex-defence minister George Fernandes goes missing". CNN-IBN. Archived from the original on 30 March 2010. Retrieved 7 September 2010. ^ "George to stay with wife: Court". The Economic Times. 6 July 2010. Archived from the original on 2 March 2012. ^ "Supreme Court allows Jaya Jaitly to visit George Fernandes". The Times of India. 31 August 2012. Archived from the original on 2 December 2013. Retrieved 8 May 2013. ^ "George Fernandes, Former Defence Minister, Dies At 88 After Long Illness". NDTV.com. 29 January 2019. Archived from the original on 9 February 2019. Retrieved 29 January 2019. He contested the 1977 election from jail and won the Muzaffarpur constituency in Bihar by a landslide. George Fernandes became a hero of the Emergency. He was made minister when the Janata Party came to power in 1977 with Morarji Desai as Prime Minister. One of his prominent acts at the time was to force the exit of Coca Cola and IBM, which had refused to dilute their stake in their Indian associates. Coke left India and returned only two decades later. As Atal Bihari Vajpayee's Defence Minister, Mr Fernandes oversaw the Pokhran nuclear tests of 1998 and the Kargil war. ^ "George Fernandes, Former Defence Minister, Dies At 88: Updates". NDTV.com. Archived from the original on 3 February 2019. Retrieved 13 February 2019. George Fernandes was suffering from Alzheimer's disease, which had forced him out of the public eye for last many years, and had recently contracted swine flu, she said, adding that he died at his home in Delhi. George Fernandes was one of the most prominent leaders of the socialist movement in the 1970s. Bogaert, Michael (1970). Trade unionism in Indian ports: a case study at Calcutta and Bombay. Shri Ram Centre for Industrial Relations. Desai, Akshayakumar Ramanlal (1986). Violation of democratic rights in India, Volume 2. Popular Prakashan. ISBN 978-0-86132-130-8. Fernandes, George; Matthew, George (1991). Dignity for all: essays in socialism and democracy. Ajanta Publications (India). ISBN 978-81-202-0318-1. Fernandes, George; Mathew, George (1991). George Fernandes speaks. Ajanta Publications (India). ISBN 978-81-202-0317-4. Frank, Katherine (2002). Indira: the life of Indira Nehru Gandhi. HarperCollins. ISBN 978-0-00-638715-2. Ghosh, Amitav (2007). Incendiary Circumstances: A Chronicle of the Turmoil of Our Times. Houghton Mifflin Harcourt. ISBN 978-0-618-87221-3. Retrieved 6 March 2012. Gort, Jerald D.; Jansen, Henry; Vroom, H. M. (2002). Religion, conflict and reconciliation: multifaith ideals and realities. Rodopi. ISBN 978-90-420-1460-2. Retrieved 6 March 2012. Gupta, U. N. (2003). Indian Parliamentary Democracy. Atlantic Publishers & Dist. ISBN 978-81-269-0193-7. Retrieved 6 March 2012. Hardgrave, Robert L.; Kochanek, Stanley A. (2007). India: Government and Politics in a developing nation. Cengage Learning. ISBN 978-0-495-00749-4. Retrieved 6 March 2012. Herdeck, Margaret; Piramal, Gita (1985). India's industrialists, Volume 1. Lynne Rienner Publishers. ISBN 978-0-89410-415-2. Retrieved 6 March 2012. Hutchison, Jane; Brown, Andrew; Asia Research Centre (2001). Organising labour in globalising Asia. Routledge. ISBN 978-0-415-25060-3. Retrieved 6 March 2012. Joseph, William A.; Krieger, Joel; Kesselman, Mark (2009). Introduction to Comparative Politics: Political Challenges and Changing Agendas. Cengage Learning. ISBN 978-0-547-21629-4. Retrieved 6 March 2012. Kux, Dennis (1993). India and the United States: Estranged Democracies, 1941–1991. DIANE Publishing. ISBN 978-0-7881-0279-0. Retrieved 6 March 2012. Rana, Mahendra Singh (2000). India votes: Lok Sabha and Vidhan Sabha elections 1999, 2000 : poll analysis, election data, and party manifestos. B.R. Pub. Corp. ISBN 978-81-7646-139-9. Ranade, Prabha Shastri (2009). Infrastructure development and its environmental impact: study of Konkan Railway. Concept Publishing Company. ISBN 978-81-8069-450-9. Retrieved 6 March 2012. Reddy, C. G. K. (1977). Baroda dynamite conspiracy: the right to rebel. Vision Books. Śarmā, Rādheśyāma (1978). Who after Morarji?. Pankaj Publications. Sahasrabuddhe, P. G.; Vajpayee, Manik Chandra (1991). The people versus emergency: a saga of struggle. Suruchi Prakashan. Sharma, Giriraj Kishore (1982). Labour movement in India: its past and present, from 1885 to 1980. Sterling. Thakurta, Paranjoy Guha; Raghuraman, Shankar (2004). A time of coalitions: divided we stand. SAGE. ISBN 978-0-7619-3237-6. Retrieved 6 March 2012. Wikimedia Commons has media related to George Fernandes.